Send a message now, and we will reach out within 24 hours to tell you more about Ethan Lord or set up a one-on-one personalized consultation. 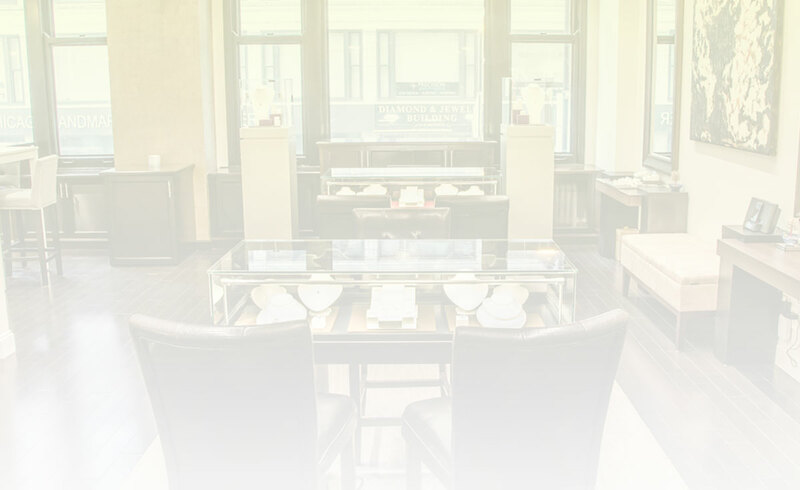 In the heart of Jewelers Row on Wabash since 2004, Ethan Lord Jewelers is the perfect place to create bridal and custom jewelry. Surrounded by generations of jewelers in the Mallers Buildering, you're truly a part of the magic while you're here! Our fine jewelry is made on-site, which is why we can offer free lifetime maintenance and competitive pricing. NOTE: The building is under renovation in some areas. Pardon our dust. There is valet parking and a very limited metered street parking. The Washington / Wabash CTA stop is conveniently located front of us (Pink, Purple, Green, Orange, Brown lines). Although we love working with walk-in clients, we do recommend that you make an appointment so that we can personalize your consultation. Before you arrive, we'll source a selection of diamonds and gemstones just for you, so you get to see what fits your vision and budget. We work closely with diamond cutters throughout the country to bring in the perfect stones! NOTE: We do carry a selection of fashion and fine jewelry that is on display and ready to take home. No need to make an appointment unless you'd like to discuss custom design. Yes! It's always free to size rings purchased from Ethan Lord, and we can size many other precious metal rings. Just drop by during business hours (no appointment needed) so we can size your finger and confirm that the ring is safe to alter. Sizing starts at $90, plus any additional costs if we need to add metal. The process typically takes 24-48 hours. If you need to resize a diamond ring that was not purchased from Ethan Lord, we ask that you bring a diamond certification or appraisal. This is to protect us both, so we can all identify and understand exactly what we are working on. See below for details. No, we do not, but they aren’t difficult to get. We suggest working with an independent company for an unbiased appraisal. One we recommend is Allied Gem Services, and they are just down the street from us: (312) 263-0090. We do not. However, we’re happy to work together to custom-make something brand new that incorporates your old pieces. Contact us to get started.